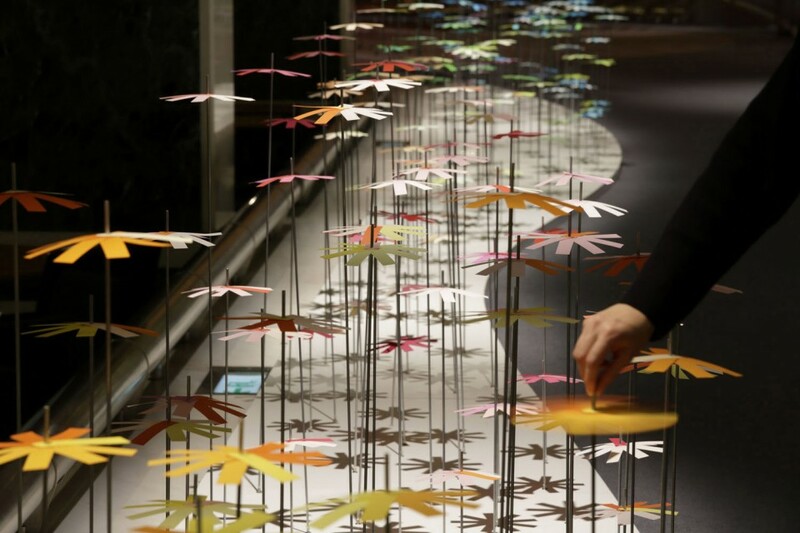 NSK Ltd. (one of the most prominent manufacturers of bearings globally and the largest in Japan) celebrated its 100th anniversary with a special exhibition, “SENSE OF MOTION”, held at the Omotesando Spiral with the vision of “SETTING THE FUTURE IN MOTION”. 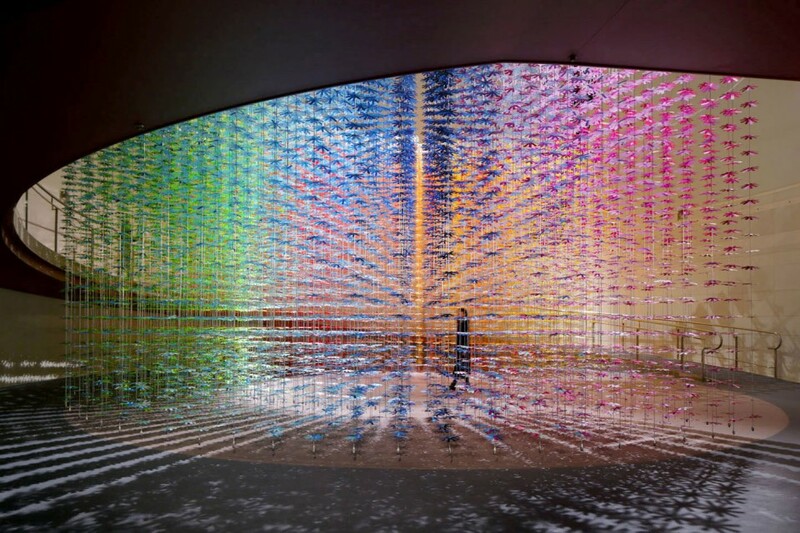 In order to convey the technology of NSK simply and beautifully, Emmanuelle presented a magnificent installation with the theme of “color mixing” to show the movement of colors using bearings. 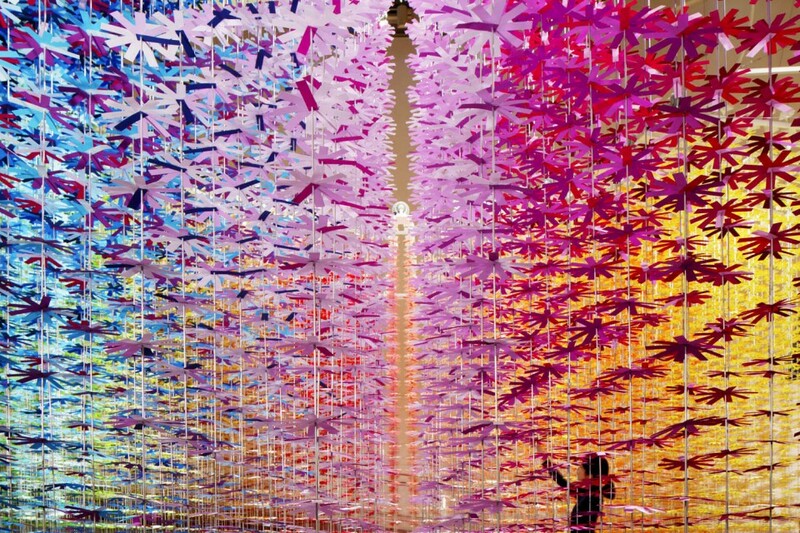 Along the form of the spiral slope symbolizes the Spiral Garden, the flower motifs in 100 shades of colors has saturated the space of about 6 m in height. 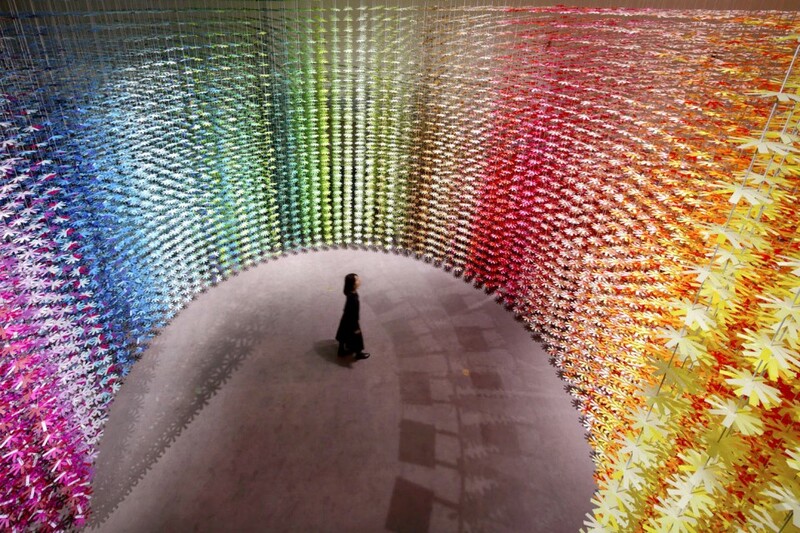 In the middle of the installation, circular empty space allows visitors to be surrounded by colors and immerse themselves in the colorful world. 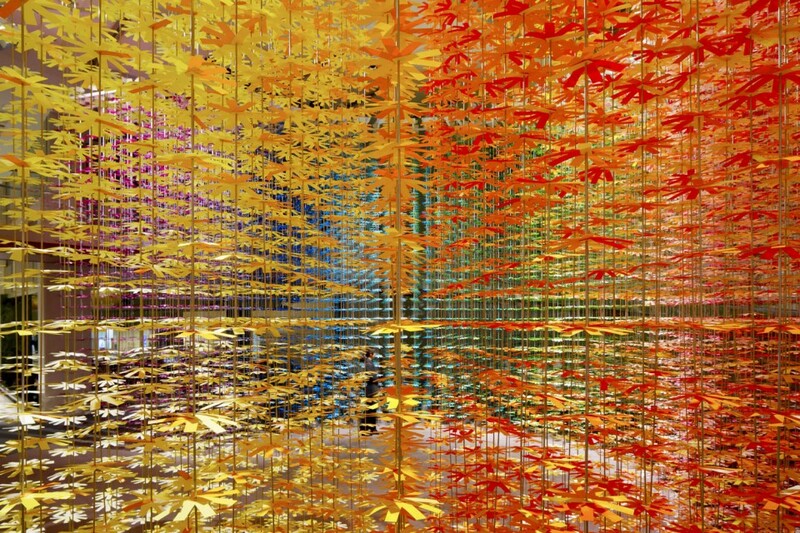 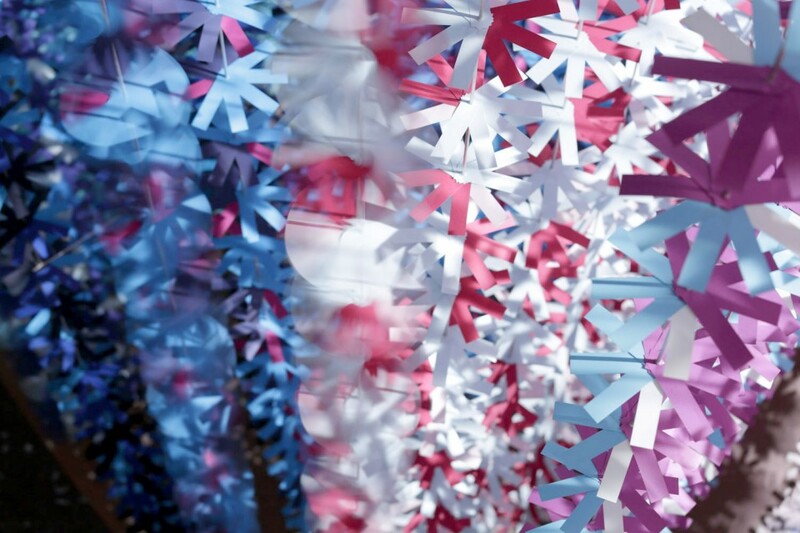 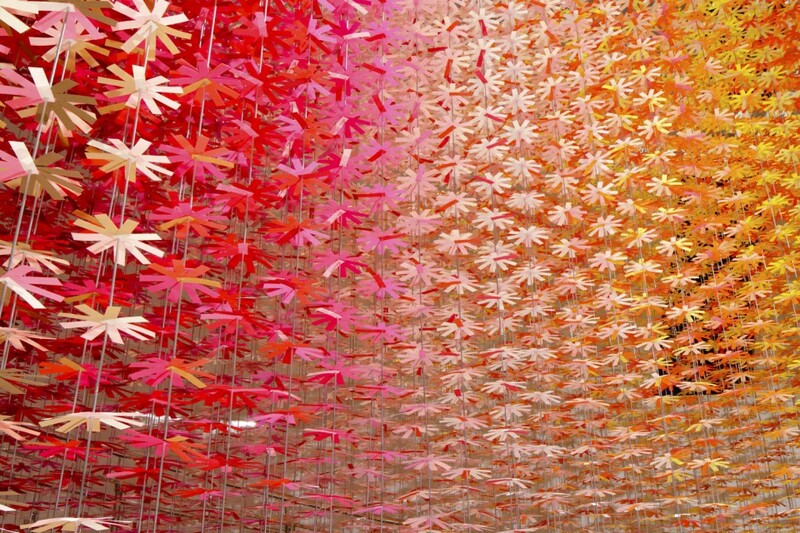 The installation consists of 25200 flower motifs aligned in regular three dimensional grids. 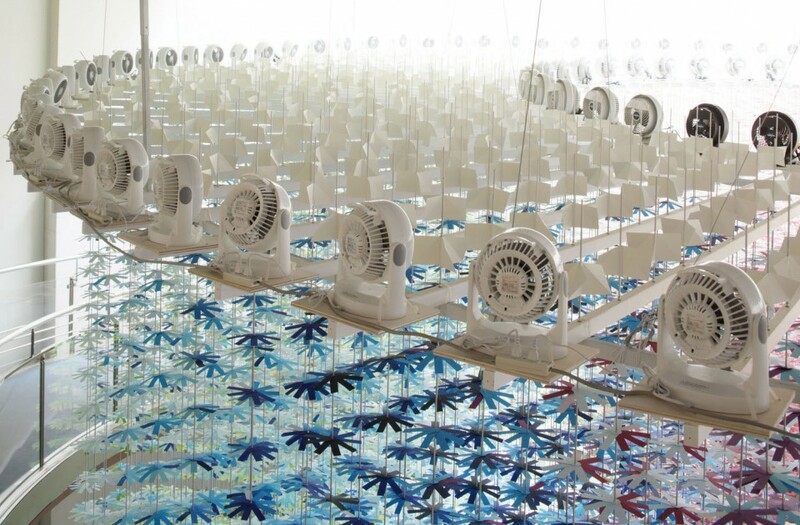 The flower motifs are attached to the vertical axes, which rotate by the NSK bearings and the windmills installed at the top that receive wind from the circulators run randomly by programming. 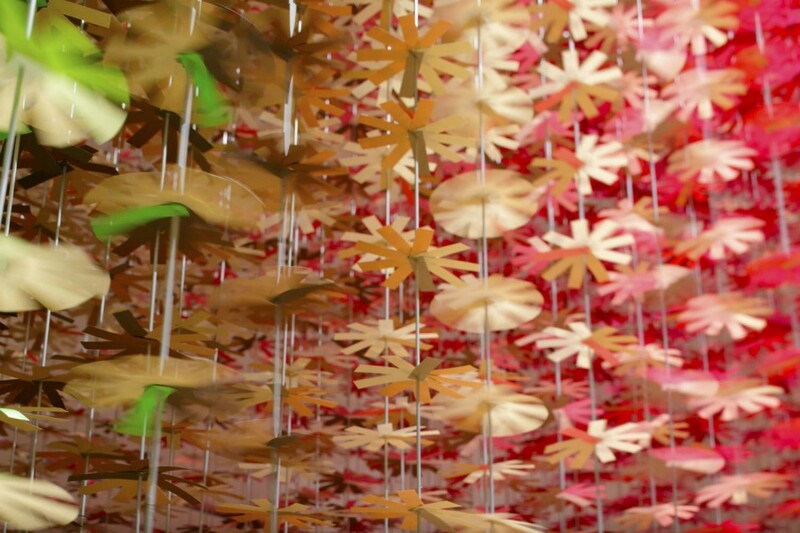 The petals of flower motifs are composed of several colors, that produce new colors as they turn. 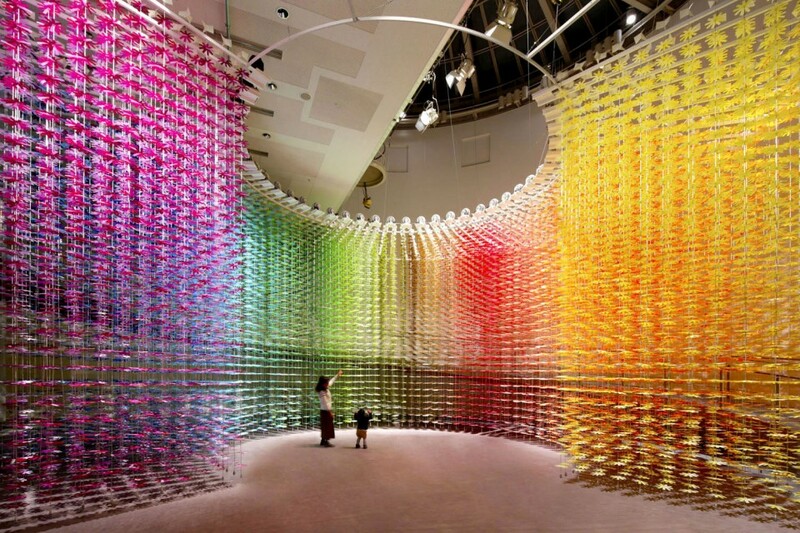 From the slope, the layer of colors gradually changes, to let visitors to enjoy the installation with various gazes.